1. 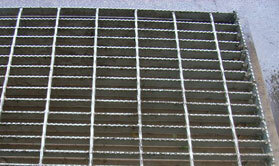 Bar grating is made by the world first-class Italian ORSOGRIL equipment .which can arrange the bearing bar and cross bar in longitude and latitude order to certain distance .Cross bar is pressed into the bearing bar by high tension resistance welding ring which is controlled by computer, So we can produce high quality gratings with firm welding, smooth surface and high strength. 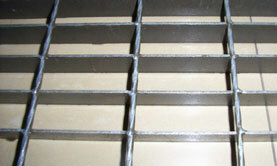 Steel Bar Grating: material: Q235A or stainless steel plate, General Specification: 20*3, 25*5, 25*3, 30*3, 32*5, 40*5, 50*5, 65*5 etc. 4. 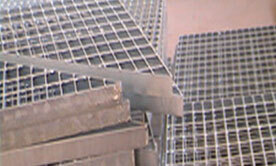 Bar grating is widely used in the platform, corridor, bridge, well covers, stairs. 5. 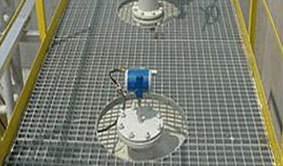 Ventilation, light leakage, thermolysis, antiskid, explosion-protection.